In the modern fabrication workshops of Stroker Fabrications, we manufacture structural steel frame work for buildings like factories, showrooms, retail stores and recreational buildings; offering bespoke designs for the industrial, commercial, agricultural and domestic customer. With our comprehensive range of fabrication tools, we can offer you the full service; from finalising your design; preparing workshop drawings for fabrication; processing the steel using a fully cutting and drilling line. Our qualified welder fabricators then weld and assemble steel components with the project completed to a painted or galvanised finish, all in compliance with building regulations and industry standards; all within an agreed time frame. A more recent addition to the Stroker Fabrications services is the production and preparation of ready to assemble steel structure buildings like machinery sheds, workshops, and livestock houses. This kit form package includes all components and detailed assembly drawings. To complete the service we offer a full fitting package carried out by our qualified installation team. Our steel fabrication services extend to Schools, Local Authorities, and Community Projects, where we can make to design; structural steel frame work, architectural steelwork and bespoke steel fabrication. All standard and bespoke steel structures are manufactured by qualified, skilled staff in our workshops; all in compliance with building regulations and industry standards. A full erecting and fitting service is available, all carried out by our qualified installation team. 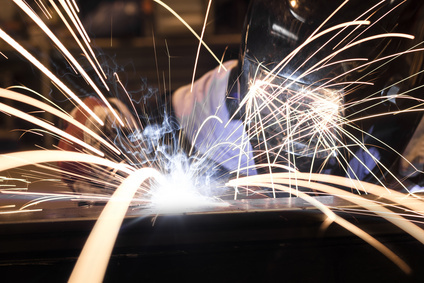 For more information on any of our fabrication services contact us or call 021 7338202 today!